Green Women Rising, the Women’s Caucus of the Green Party of Utah, has issued this statement as a reaction to the violence imposed by a Salt Lake City police officer, Detective Jeff Payne, on Alex Wubbels, a Nurse at the University of Utah Hospital, in July, 2017. Det. Payne approached Nurse Wubbels in the emergency room and demanded a sample of blood from an unconscious accident victim. Nurse Wubbels, following her orders, and showing Det. Payne a copy of the written agreement between the hospital and the police department refused to comply, since the agreement specifically outlined that no samples are to be handed over unless there is an electronic warrant, patient consent or patient under arrest. None of those criteria applied. Det. Payne proceeded to state that his presence superseded the agreement and when it was apparent that she was not going to comply, Det. Payne forced Nurse Wubbels against a wall, handcuffed and arrested her, and forced her to his vehicle, while she screamed the entire time for help. The violent actions towards Nurse Wubbels, by Det. Payne, while she was performing her duties in caring for an injured patient, were unnecessary, abhorrent, and brutal. These actions went well beyond the realm of the duties and prerogatives of law enforcement in this case. Further, this was an act of unnecessary male dominance in an effort to circumvent the legal requirement to obtain a warrant to collect evidence. We demand a thorough independent investigation into the motivations for obtaining the evidence being sought. Since the incident Salt Lake City Mayor Biskupski and Salt Lake City Police Chief Brown have issued a statement wherein Chief Brown stated that an apology was made and that Det. Payne was taken off of the blood draw program. We believe this soft response is insufficient. We call upon City Mayor Biskupski to relieve all personnel directly responsible for this needless violent action towards Nurse Wubbels as well as all individuals that failed to address this issue in a timely manner to enforce accountability for these brutal and illegal actions. We hold the University of Utah Police Department accountable to University employees in harms way, whose officer on duty recorded the incident on a body cam. We call upon the University to take a stand against the violence towards a University Hospital employee..
We hold accountable all other observers who witnessed the violence against Nurse Wubbels to provide the accounts as witnessed and stand up for an end to such brutality. We call for all law enforcement officers, emergency personnel and all government officials and employees to engage in ACLU and anger management training. Green Women Rising members applaud the bravery of Nurse Wubbels and regard her as a hero for standing up to government employees who abuse their power and for standing up for the rights of other human beings when they are rendered unable to do so themselves. We support Nurse Wubbels’ continued efforts to speak out against violence. 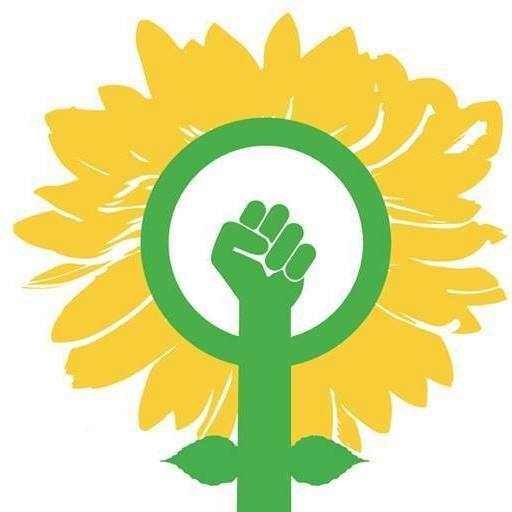 Green Women Rising will organize and act to advance the rights and concerns of all those who identify as or with women.